These beautiful backgammon checkers are made from high-gloss acrylic material with smooth finish on both sides and a convenient finger dish design for easy checker movement. The checker diameter is 1 1/2 inch, they are 5/16 inch thick and weigh 9 grams each. The stones are perfectly brilliant in color and finish. 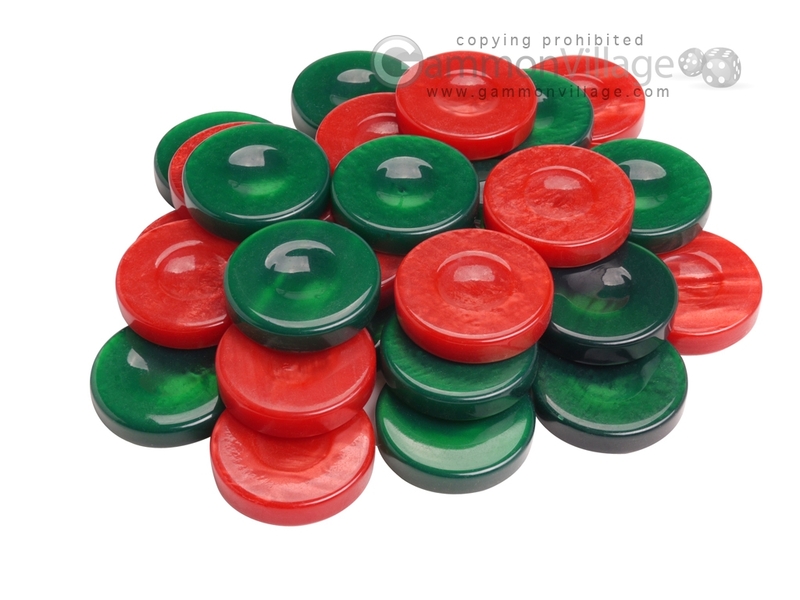 These limited edition green and red backgammon stones will add sparkle and style to any backgammon set. Page P5534 Copyright © 1999-2019 GammonVillage Inc., USA. All rights reserved.